In this work, we study the collective dynamics and energy aspects of star-coupled Hindmarsh–Rose neuron model with memristor. In the presence of chemical coupling and field effects, the system exhibits desynchrony, synchrony and drum head mode states. The electrically coupled network with field effects shows desynchronized and synchronized regions. The parameter space has been plotted to explain the transition from desynchronized state to synchronized and drum head mode regions. The time evolution of membrane potential in the absence of synaptic coupling reveals that field coupling regulates the electrical modes of the system. Based on Helmholtz theorem, the Hamilton energy function associated with the system has been derived. The average energy variation of chemically coupled neurons shows two important regions. A fluctuating regime corresponding to the desynchronized state and a linearly increasing regime corresponding to the synchronized state with amplitude death have been observed. In electrically coupled star network, the average energy returns to its initial uncoupled value in the synchronized state. 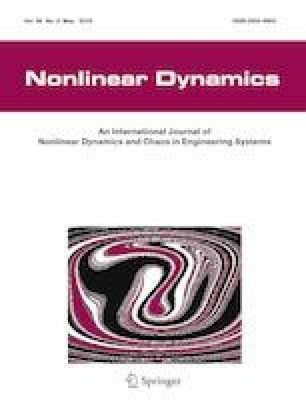 The study finds applications in identical and nonidentical networks of chaotic oscillators with different coupling topologies. UK would like to acknowledge University Grants Commission, India, for providing financial assistance through JRF scheme for doing the research work. PAS would like to acknowledge DST, India, for their financial assistance through FIST program.